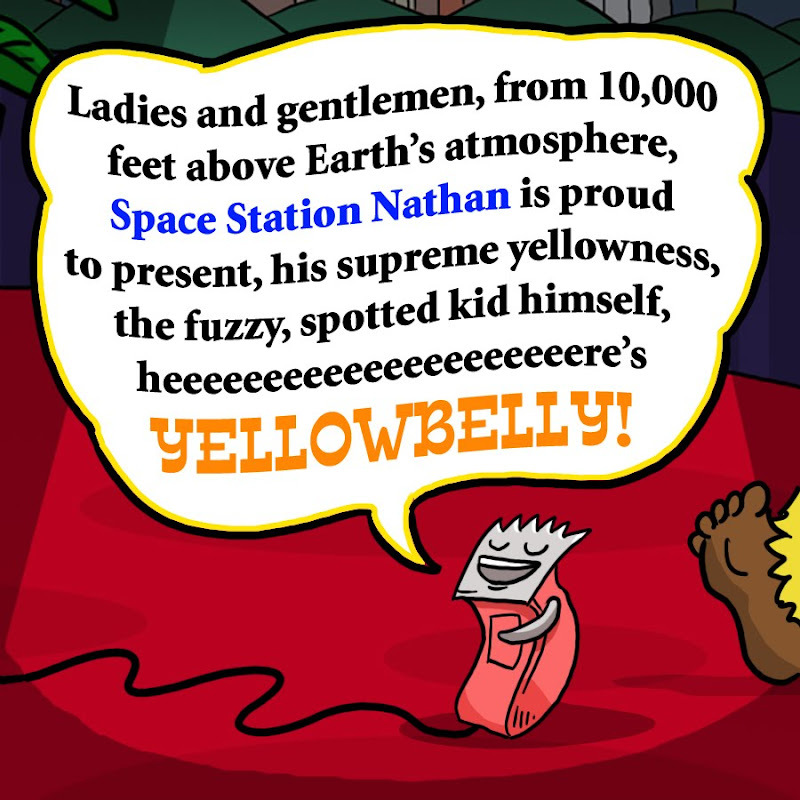 SPACE STATION NATHAN: It's the Clipper Announcer! Horrah! I can SOOO not wait! Love the new header! Although you kinda look like the all-powerful being controling our every thought and deed. Are you? Did you make me eat that extra doughnut? Yes indeed, it's Yellowbelly time...but who wil the guest be? ....very exciting. Thanks for noticing the new header, DaNae, and yes, this is my mind control capsule. I'm planning on using it to sell books. Are any of you feeling an overwhelming desire to purchase CALAMITY JACK? See, it's working. Lellowbeyee!!! He's still in my sketchbook. Haha. Remember that?